Year Built: 2012 "Updated 2012"
This is a home just waiting to be filled with friends, family, fun and laughter. The entire downstairs functions as one big GREAT ROOM. The kitchen spills seamlessly into the living/dining areas. There are ocean views from several rooms including the living room as well as views from the front and side yards. The Great Room is all tiled. It features a huge kitchen, ceiling fan and lots of windows and a sliding door onto the covered lanai. Your cook will love this kitchen. With yards of solid surface counter top, stainless appliances and maple cabinets, pantry and a huge single bowl sink, it will be the center of the action. Unless, that is, it's game day and you decide to have a dozen or more fans gathered around a TV. Just for such an occasion, a half bath is conveniently located on this level. Under-the-staircase storage is on this level as well. Washer/Dryer and solar hot water tank are located in the attached 2 car garage.Upstairs you will find three bedrooms and two baths. The master bedroom looks east to catch the morning light. This suite includes an exceptionally large walk-in closet and full bath with a nice big shower. The guest bath is quite large as well and includes a tub/shower combination. There are two additional bedrooms, both with big mirror doors on the closets, one with an ocean view. One bedroom is currently being used by this talented homeowner as a music room. When the house was new it was wired for a Split System AC but the current owners never felt the need to have it installed. 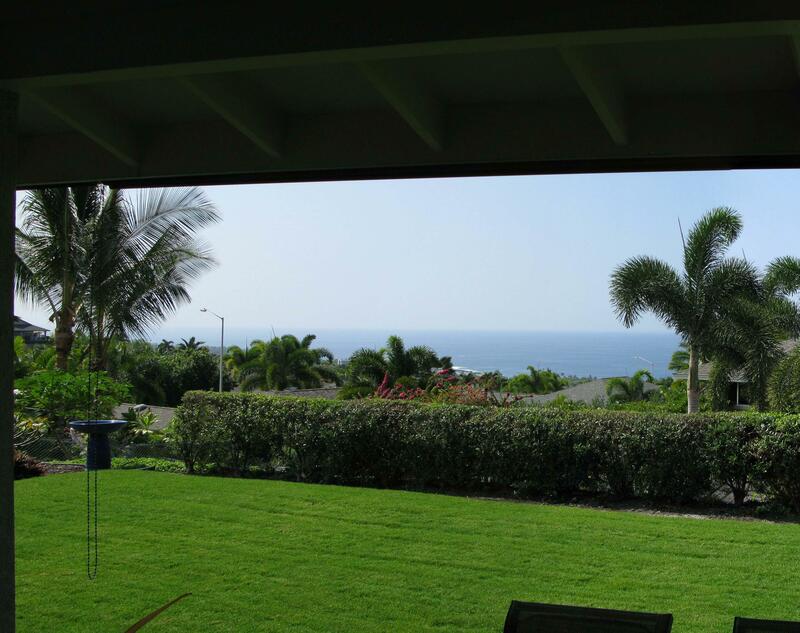 Pualani Estates is a highly sought after subdivision, valued for its convenient location. Covenants and restriction keep the neighborhood a pleasant and attractive place to live.Take the 3D tour attached here to see it now, it is almost like being there.